Many companies are looking at a growth strategy, which is not only driven by organic growth but also by acquisitions. In parallel, those companies need to optimize their portfolio and look at divesting businesses that are not part of the core business strategy. These significant business changes come with large investments, of time and money, and high expectations. At NGA HR, we are often involved in how to drive these changes successfully and with predictable outcomes. First of all, the dynamics are not always the same. 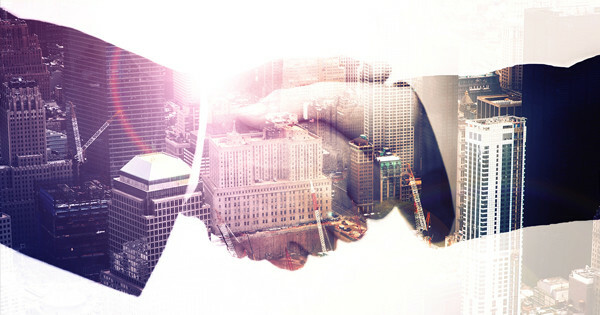 In the case of an M&A, the landscape is often very diverse, and a lot of inherited assets like people, processes, systems, and data need to come together into the new common HR operating model supported by global payroll. Once designed, the new target operating model drives new processes, people and systems – both at a company and country level. A spinoff, or divestiture, has an entirely different dynamic. In this case, most supporting staff and systems remain with the parent company, and there is a finite time for continued use of these resources, based on a Temporary Service Agreement or TSA. These agreements are created to the advantage of the parent versus the newly formed spinoff and have a limited duration. Given the fact that a carve-out is smaller and less complex, compared to the original business, the new company can take the opportunity to simplify the way of working, also driven by the limited time of the TSA. If the spin-off cannot meet the timeline, then severe financial penalties could be the consequence and, in some cases, all systems and services from the former parent will be stopped. So what is the best course of action? This design is not new, but in the situation of a spinoff scenario, it has to be put in place fast. With regards to the HR processes, there may be different legal entities (LE) and separate bargain agreements or Collective Labor Agreements (CLA) that need to be meshed into one single corporation. That is a complexity you can’t afford in a situation with a limited time for action. Secure the basics first. One thing is for sure, you need to pay all people timely, correctly and compliantly, and as cost effectively as possible. Having this in place also forms the basis for the single truth of data for HR Reporting. Chances are, you won’t have many experienced payroll administrators in your new company. If that’s the case, consider working an experienced payroll vendor, who can help you with the choices. Use global payroll to define country standards. In-country payroll is a local process, of course. Our experience is that standardization starts with global standards and a central team. This global approach will drive change in each country and ensure local teams feel part of the solution, instead of the subject of change. Workforce administration is vital, but not difficult. Start from the industry or vendor’s best practice processes. It can be helpful to begin your process design from the to-be situation benefiting from what industry leaders have designed. In a divestiture situation, this is an excellent opportunity to update your new workforce with the latest and greatest. Plan for agility. Especially in a divestiture, the clock is ticking, and you might not be able to set up a perfect HR operating model in the limited time you have before the TSA expires. There are, however, critical processes like time recording and payroll which have to be up and running before the time is up. If you decide to use a vendor, look for a partner who has flexible options which can change over time. Depending on the country situation, you could start with a managed payroll service where in other countries, you might opt for a full-service option, including HR and payroll data management and voice support. Technology can push standardization. Designing and implementing a global HR platform will enable you to guide the use of standards across your new organization, which is a significant benefit. The latest technology is probably a step above compared to what you had in the past, including direct access for your employees and managers. An additional benefit in a divestiture scenario is that it can also be used to push any new employer branding. By looking at a new global HR platform, a simple question like a complete HR headcount report is now possible to answer without a lot of effort. Regardless of the scenario, you will need to address the challenge of integration and alignment with the country payrolls at hand into the new HR system. Make sure that your payroll service partner can help you to address the integration agility that you need on a global level. Transfer only the essentials when it comes to historical data. This probably reads as a contradiction but try to find different ways to store your legacy data. Moving too much historical information into the new system will add to the complexity as well as the cost to store that data. You don’t want to end up with a bespoke solution because of your historic data. Therefore, minimizing the data to what is legally needed to have your HR, time and payroll system up and running should do the job. In the midst of all these changes, I would encourage you to look at this as a perfect opportunity to ask for help from an experienced vendor. The right provider should have done this several times and can introduce you to some clients they helped with divestitures. Look for flexible service offerings, to deal with mature and young countries and people operations. Make sure they understand HR and payroll not only globally but also locally, to help you to achieve an excellent and predictable business outcome.